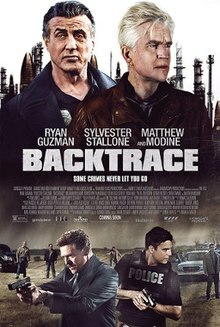 Backtrace is a 2018 American direct-to-video action film starring Matthew Modine and Sylvester Stallone, directed by Brian A. Miller. The film was released on December 14, 2018 in the United States. The film received overwhelmingly negative reviews with critics panning the Plot. ^ "Movie Review: Stallone is back on the beat with "Backtrace"". December 7, 2018. ^ "Film Review: 'Backtrace'". December 14, 2018.